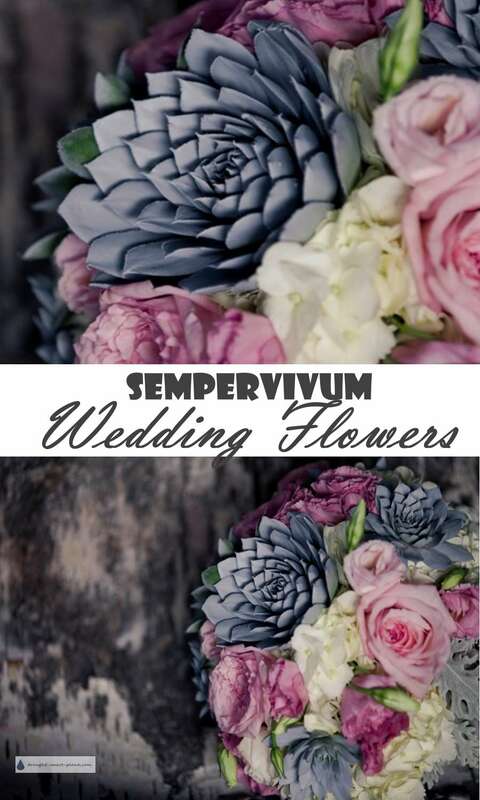 Succulent plants are all the rage; Sempervivum Wedding Flowers will knock your socks off and are simple and relatively easy to prepare with a bit of advance planning. 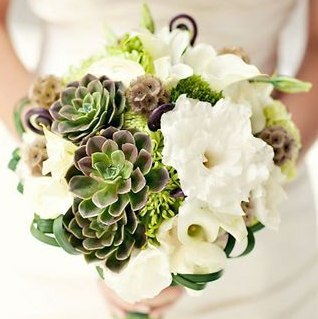 Here's how I prepare Sempervivum for jaw dropping fabulous wedding bouquets and boutonnieres. 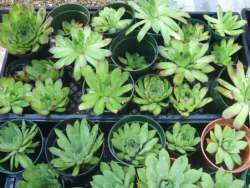 First of all, it's best to start planning well ahead of time - I have one small Sempervivum bed where I put many plain green hens and chicks with the intention of selling them for the florist or designer to paint - yes, hard to believe, I know! To prepare the plants for a project, allow three weeks if you can; this gives the plants a chance to get that glow when they are well taken care of, and also prepares them for shipping - they must be dried out to just the right moisture level so they arrive at the other end in good shape. They also need to be precisely timed when shipped - most brides and their entourage don't have time to fiddle with these plants (especially after they've had their manicures), so I schedule the shipping to fit with the time you have available to make up the favors and centerpieces. 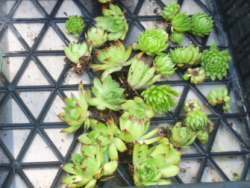 The red tipped Sempervivum weren't so lucky. They've been abandoned in all kinds of out of the way places, in some cases completely over run by Thyme! I ever so carefully dug them up (read; ripped them out of the ground by force) and then cleaned up the dead parts where they had been against the ground. This little bed is called The Matrimonial Bed. 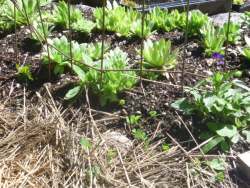 I simply toss chicks of plain un-named varieties into it to root for the following year, with only a bit of weeding necessary. I can take the larger ones for wedding 'flowers' and leave the smaller ones to size up in the rich soil. 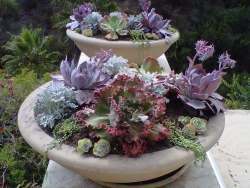 This is the only time I plant these drought tolerant plants into any kind of soil which has lots of nutrients in. I set them bare root into empty plant pots and gave them some fertilizer. This is the only time I will use chemical fertilizer in my nursery - what bride would appreciate the smell of fish fertilizer or compost tea on her wedding flowers? The empty plant pots are solely to keep them upright so they won't stretch in odd directions to get more light. 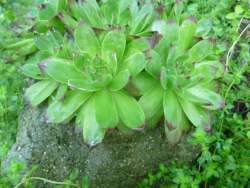 The plants will still grow and change to a more healthy color with the fertilizer, even without any soil. They will still look just as healthy for a week or two - unlike most wedding flowers, these plants that look like flowers insist on survival. Best of all, once the excitement is over, and things start to get back to normal, these plants will still be waiting for your attention; as an added bonus, they can be planted in the garden as a permanent reminder of the joyous occasion.